When you get your first electric guitar, you want to know about all the pieces and parts. We are going to go through each nook and cranny. After reading this article, you'll have an understanding of what each part is and what they do. 1. What is the headstock? The headstock is the very end of the guitar that you hold in your non-dominant hand. This flat part of wood holds the tuners (or hardware assembly). You'll usually also see the guitar brand logo here. The size and shape of the headstock is determined by the kind of tuner and arrangement. The tuners, on the head of the guitar, are geared mechanisms create different pitches by raising and lowering the tension of the strings. The strings wrap around each post and the post is connected to the back of the headstock. Tuners can also be called tuning pegs, tuning machines, or tuning gears. ​3. What is the nut? ​The nut guides and holds the strings of the guitar in place. It's a skinny piece of plastic with little slots to hold each string. This is an important piece, because it stops the strings from vibrating beyond the neck. The nut is one of two places where the strings stop vibrating, the other is the bridge. The strings of an electric guitar are one of the most integral parts of the instrument. The entire design of the guitar is based on how to make the strings create the best sound, tone, and pitch. You can buy a variety​ of sizes, which are based on your preference. If you are not familiar with how to properly set up guitar strings, I would recommend taking it in to be installed and adjusted. Frets are skinny pieces of metal on the fretboard. When you are playing a chord or a note, ​you push the strings against the space between the metal fret pieces. This will shorten the vibration of the string and change the pitch of the note. Fret markers are usually just a dot or another shape, which signify where you are on the fretboard. Once you become more familiar with playing, the fretmarkers won't be needed and you can move from one fret to the next without having to look down! ​The fretboard (also called the fingerboard) is made of wood and is the top part of the guitar neck where the frets are embedded. This is where you place your non dominate hand to produce notes and chords. 9. What are the pickup selector and pickups? The pickup selector is a pretty easy explanation. It's a switch that detemines which pickup to activate. The description for pickups is a little more complicated. Pickups are magnets that create an electrical current. These bar-like magnets let the amplifier convert the current into the awesome sound you're looking for. ​Essentially, the pickups are microphones for your electric guitar. If the pickups are close to the neck, you'll get a soft, rounded sound. If they are towards the bridge, you'll hear a sharper sound. There are two options for ​pickups,single-coil pickups and humbucker picks. Single-coil used to be on all electric guitars and consist of only one coil of wire; this option is very susceptible to hum. Single-coils will pick up electrical noises (like building wiring, fluorescent lighting, even a computer monitor). A benefit to single-coil is they create a thin and clean sound. The second option is humbucker pickups. Instead of one coil, there are two coils ​at each end of a single magnet. By using two coils, they cancel out the hum from the guitar, hence the name humbuckers. This was patented in the 1950s by Gibson. The humbucker pickups create a warm, smooth sound that works well for rock, blues, and jazz guitarists. The bridge can hold multiple purposes. It is a metal plate that secures the strings to the body of the guitar.​ You can change the intonation of the guitar by adjusting the bridge. This insures that your guitar is tuned throughout the entire fretboard. 11. What is the body of an electric guitar? ​The body of your electric guitar creates a playing surface and houses the bridge assembly and electronics (this includes pickups, tone, and volume controls). There are three types of body styles: hollow body, semi-hollow, and solid bodies. The hollow body is the most similar body type to an acoustic guitar. This type is best for jazz guitars. They are likely to create more feedback at high levels of amp. The semi-hollow body creates a sound similar to an electric guitar. You will need high levels of amps, if a loud sound is desired. The last option is the solid body guitar. They are great for long sustain and loud amplification. The solid body guitar is ​a great performer when using a lot of effects. 12. What are the volume and tone controls? The volume and tone controls are knobs that allow you to control the loudness of your guitar's sound and the frequencies for the bass and treble.​ Pretty straight forward. The output jack is where​ the signal from the pickups goes out to the amplifier, or another electronic device. You can use a 1/4' male jack plug on both ends to plug your guitar into an amp. Now that you know all the parts of your electric guitar you are ready to start shredding! ​Take a look at this video below to get some cool tricks to make you look like an awesome guitar player. 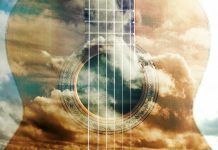 These 5 tricks, provided by Up Tempo Music Lessons, will easily make people THINK you're a talented musician, even if you aren't quite there yet.